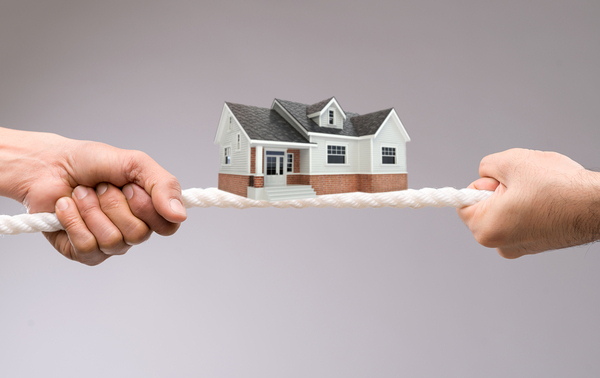 The tug of war over bidding on a house could land the buyer in the mud. When two or more people are vying for the same home, what’s the last thing that any party wants to do? That’s right, no one wants to fall behind in the bidding process and risk losing the house. An ordinary sale can turn into an outright tug-of-war where the winner takes all. Unfortunately, buyers sometimes skip the inspection for fear of missing out on the bidding process. And when they take all, it might mean they’re taking on a real lemon. Something strange can happen when someone is met with competitors after bidding on a house. A piece of property that he only liked somewhat, but was prepared to live in, could turn into the most necessary, important, gotta-have-it house in the whole town. To find the reason behind this phenomenon, we should look to the psychology of auctions. Although not an auction, bidding on a house can still work the same way. He bids, then she bids, then someone else bids more, and the cycle continues until someone eventually “wins” the right to buy it. Cornell University says that it’s the perception of ownership that creates the bidding war atmosphere. Once a person places a bid, he gets a sense that the house is already his. Then when someone makes a higher bid, he has to bid higher still to get his property back. It can turn into a vicious cycle. When a buyer skips the inspection, the facepalm is a common result. When the most important thing is preventing another party from outbidding, some people resort to deal sweeteners in order to win. It’s not uncommon for a bidder to tell the seller that he’ll skip the inspection and take the house as-is. And that’s a dangerous strategy. While he might buy a gem without an inspection, one thing is sure. He won’t know one way or another until after he takes ownership. There could be a million dollars hidden in the attic. Then again, the attic might be riddled with mold and rats. If the bidding is fast and furious, a bidder might feel that he doesn’t have time to wait for an inspection. That’s another bad choice. If any house is worth spending money on, it’s worth knowing a little more about besides the address. An alarming number of buyers are skipping the home inspection because they want the dream house so badly. In a highly competitive market, it can probably be tempting. But the defects that might exist inside those four walls should outweigh the desire to speed things up. Once the buyer owns the house lock, stock and barrel, he might wish that he’d been a lot more prudent. Home inspectors are there to inform buyers about the condition of a house. If there’s a problem with the HVAC, mold in the attic, faulty wiring or many other defects, the buyer can go into the bidding situation fully armed with information. Not only that, a report with defects could give the buyer bargaining power that he otherwise wouldn’t have. If you’re thinking about becoming a home inspector, ICA School is the right choice for your education. It’s a paced program, which means you control how fast or slow you progress. Get a demo today and see for yourself what makes our program better.